A hygienist is a trained professional that works primarily with patients to prevent dental problems from occurring. Why would I need to see the hygienist? Can’t the dentist do this treatment? Hygienists have undergone specific training in assisting patients prevent dental problems. This is what their role in our team is and therefore they are extremely skilled and efficient at delivering this type of care. 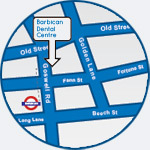 This important service also frees up time for our dentists to perform the more complex treatments. How often do I need to visit a hygienist? What do I have to do to see a hygienist? Contact us to arrange a consultation with a dentist. The dentist will then discuss your needs with you and arrangements will be made for you to see one of our hygienists.